You may know that carat is the unit of weight that measures diamonds and gemstones, and this causes gold carats to be mistaken. In relation to gold, the term ‘carat’ refers to the proportion of pure gold within an item of jewellery. The carat of gold is often represented by the abbreviation ‘ct’, however ‘K’ and ‘kt’ can also be used. There are several carats available for gold, including 9ct, 14ct, 18ct and 24ct. Have a read of this short guide to discover what each carat actually means. The higher the carat, the purer the metal is and it can’t get more pure than 24ct. Consisting of 99.9% gold, it’s the highest and most valuable form of gold available. It’s naturally very yellow because of the gold content, however it’s very soft and easily damaged therefore isn’t often used in making fine jewellery as it’s not strong enough. 22ct gold consists of around 91.6% gold, meaning it can be high priced and still very malleable. Due to it's soft nature, it's not suitable to be used in stone set jewellery. Instead it is commonly used for more simple items of jewellery, such as wedding rings. If you’re looking to compromise between purity and strength, 18ct gold is the one for you. It’s 75% gold mixed with other metals (18 parts gold to 6 parts another metal). This carat typically describes yellow gold, as due to it’s high gold content, it keeps a lot of the colour. However, depending on the metals the gold is mixed with, the colour can vary, resulting in white and rose gold also. This gold has 14 parts gold to 10 parts alloyed metal, which means it’s around 58.5% gold. It’s yellow tone is not quite as bright as the higher carats of gold but it’s still quite beautiful. It’s also more affordable and very durable, meaning it’s quite a popular choice in rings. The least pure form of gold accepted is 9ct. Containing around 37.5% gold, the many metals that are mixed in with it make a very strong alloy, which means it great for making jewellery. Additionally, due to the low gold content it’s the most affordable and therefore also a popular choice amongst jewellery buyers - they get a lot of strength for a small price. 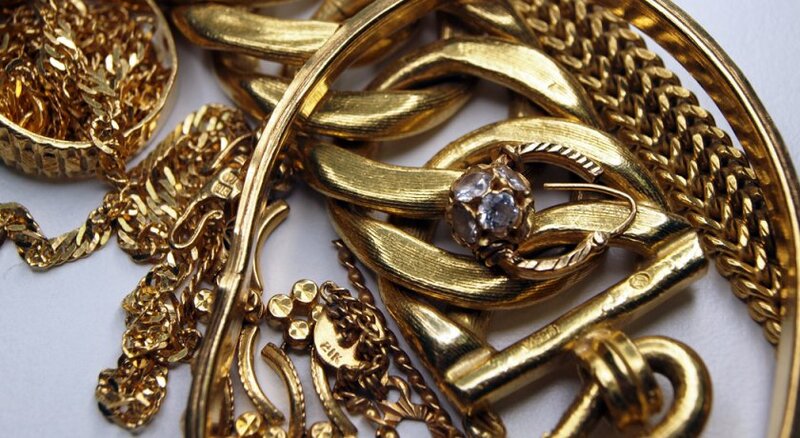 Each item of gold jewellery has a stamp on it that indicates what carat it is. If you’re unsure what carat your jewellery is, or as a reference when buying new gold jewellery, here’s what to look for.